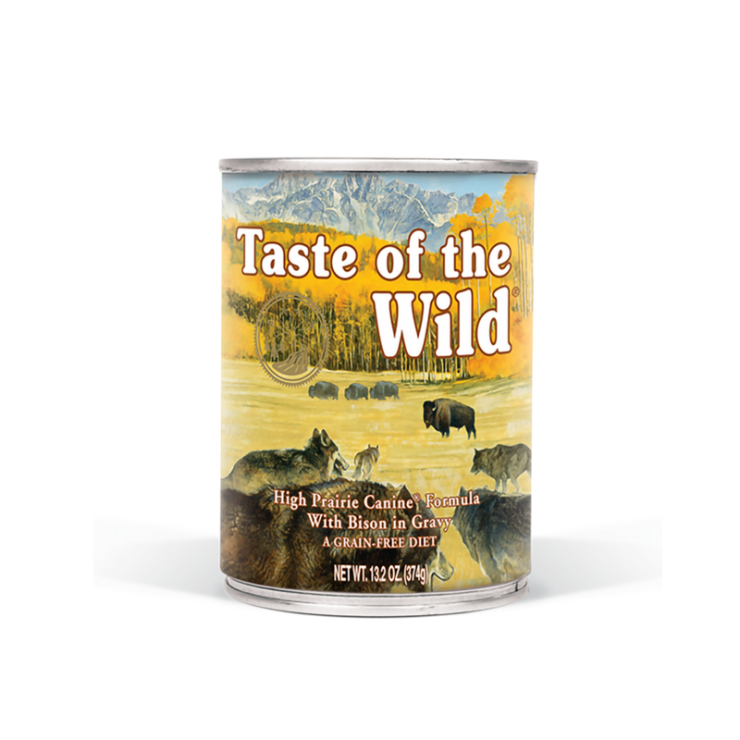 A great tasting complement to the dry Taste of the Wild formulas, the Taste of the Wild High Prairie Canine Formula with Bison in Gravy will satisfy even the most finicky dogs. This complete and balanced formula can also be fed as your pet’s sole diet. Made with bison, this formula offers a taste sensation like no other. Contains bison, lamb and venison for a blend of quality animal protein sources to meet the needs of your special pet. Potatoes and peas are excellent sources of nutrients, but also are highly digestible carbohydrate sources. Tomatoes, blueberries and raspberries deliver antioxidants to help give your friend a healthy lifestyle.